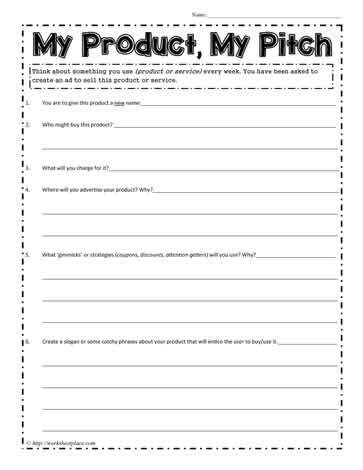 My product, my pitch worksheet is a media literacy worksheet for developing early marketing skills. Determine how effective the ad is, who the target market is for the ad and what is appealing or not appealing about this ad. You are now the market analyzer for this cereal ad. If it should be different, be prepared to discuss why and what you would do differently.